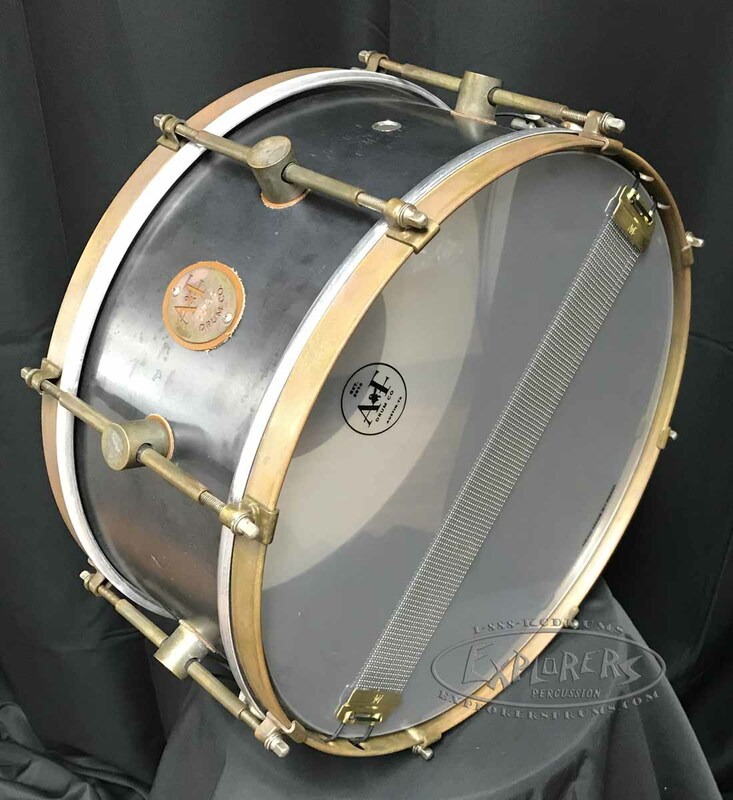 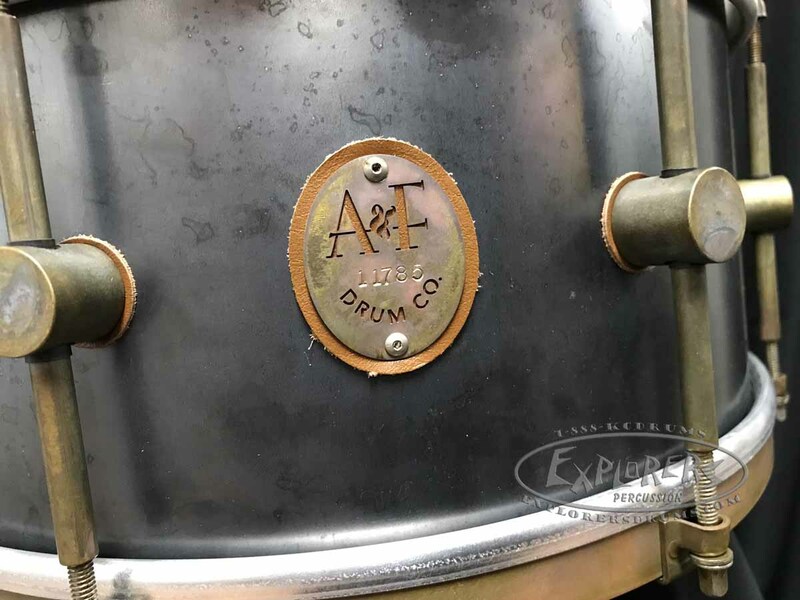 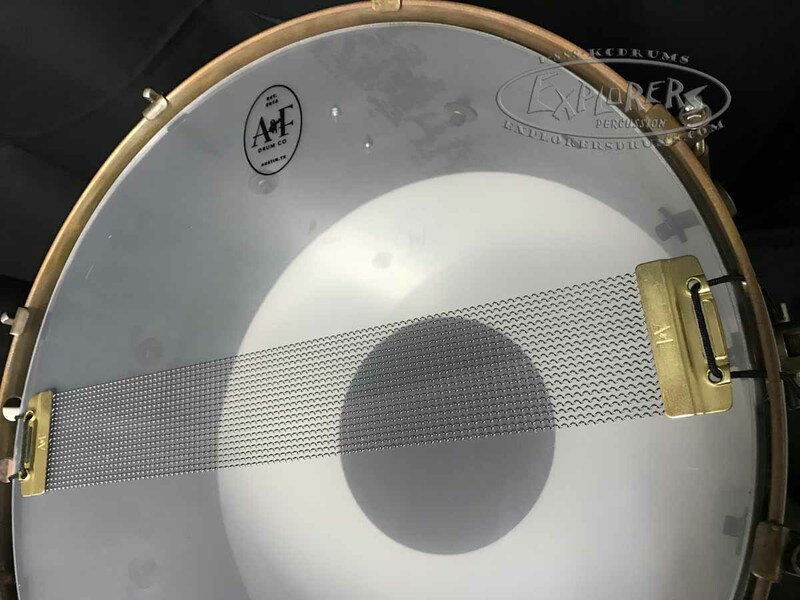 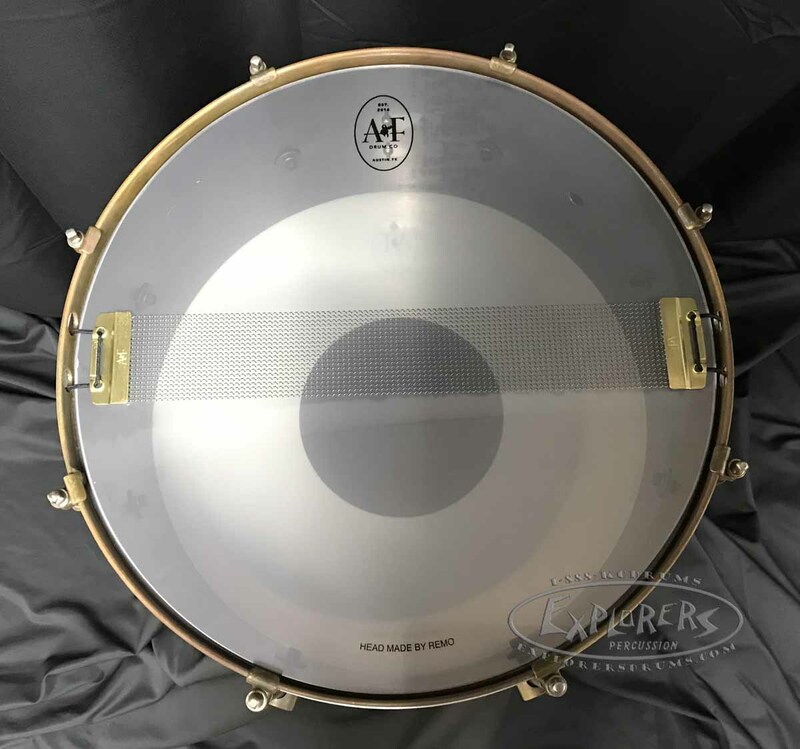 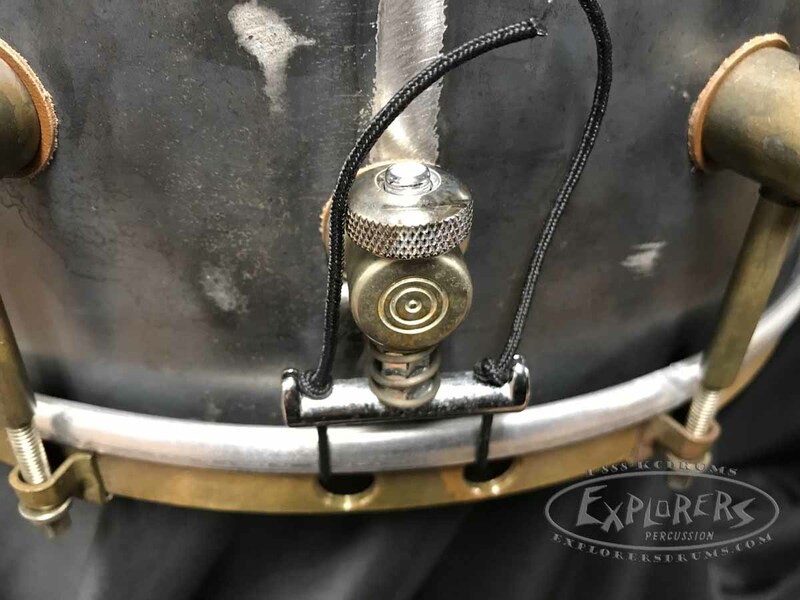 All Raw Steel snare drums are made from our exclusive raw steel shells w/ our raw brass hoops, patented brass lugs and hardware, and Remo Ambassador heads. 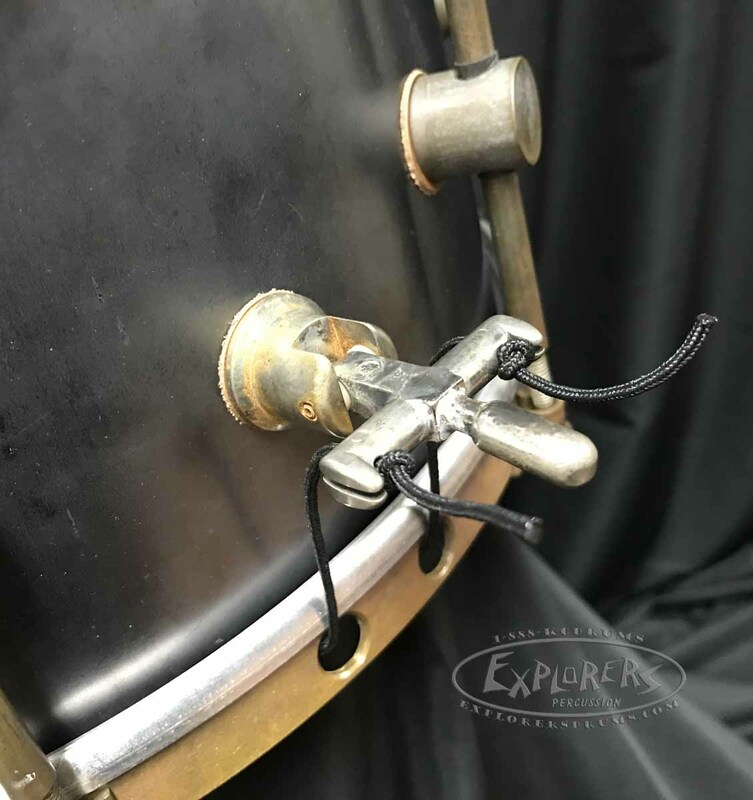 We hand cut, roll, weld, and sand our raw steel shells and raw brass hoops. 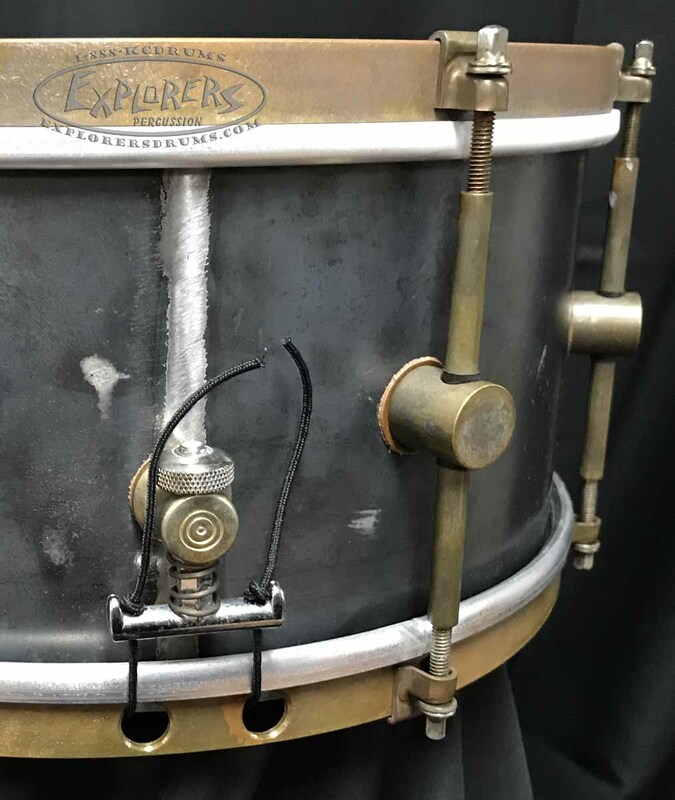 Then while leaving these shells in their natural raw finish we hand cut bearing edges and snare beds then add our patented raw brass center-mounted lugs and hardware.